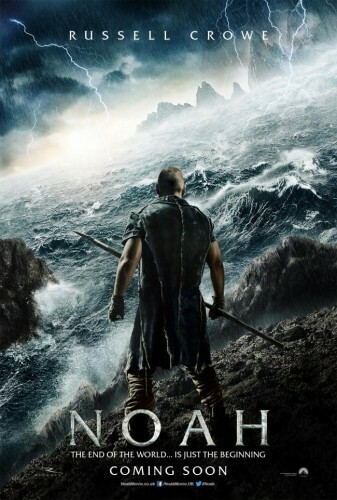 Paramount has released domestic and international trailers for Noah, an adaptation of the biblical story by Black Swan director Darren Aronofsky. Russell Crow is on board as Noah with stunner Jennifer Connelly as his wife Naameh and Emma Watson as his adopted daughter Ila. Noah co-stars Anthony Hopkins, Kevin Durand (”LOST”), Logan Lerman (Percy Jackson), Douglas Booth (LOL), Madison Davenport (The Possession), Sami Gayle (”Blue Bloods”), Barry Sloan (”Revenge”), Anne Bergstedt Jordanova (”Boardwalk Empire”), and Dakota Goyo (Dark Skies). It sails into theaters March 28, 2014.